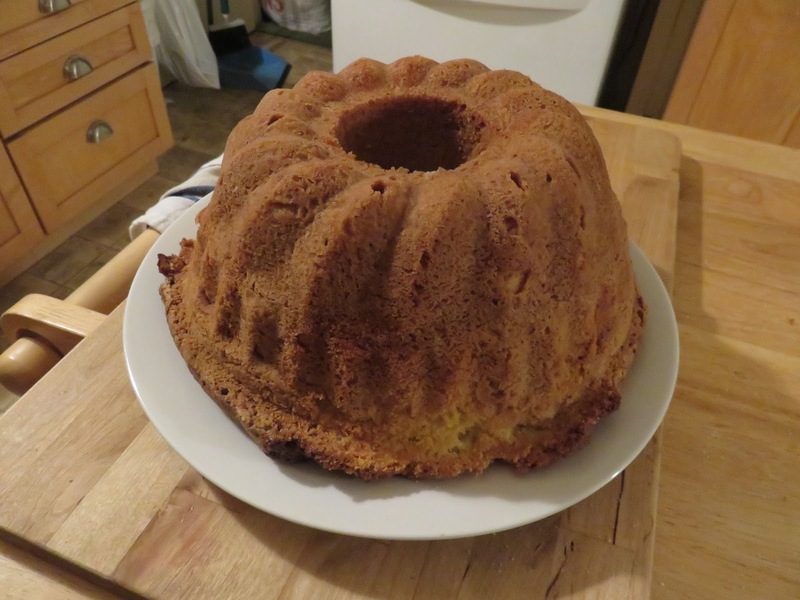 All right, I’ve been throwing a lot of weird vegetables at you lately (but I have to grab them when I see them at the store), so let’s go back to more familiar territory: cake (we here at MLK seem to be doing a lot of baking lately!). In this case, this is a recipe based on one I saw recently in our local paper, for a pound cake with a twist—it has cream cheese in it. 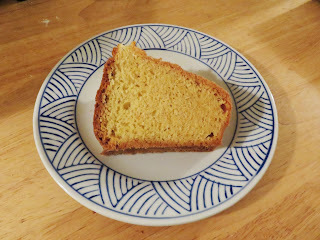 While the original recipe called for lemon flavoring, I decided to change it up a bit by substituting almond extract (Krista and I have to have a pound cake duel!). 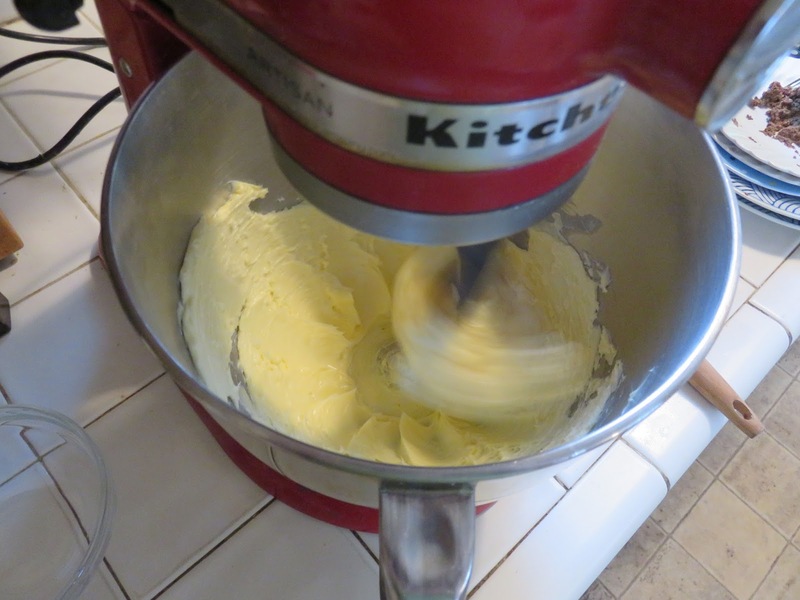 In a stand mixer set on medium-high, cream the softened butter for 2 minutes. Add the softened cream cheese and beat for 2 minutes more. Add the sugar in 3 additions, beating for after each addition, scraping down the sides of the bowl. When all the sugar is added, beat for 1 minute more. Beat in the eggs, one at a time, mixing enough to blend (do not overbeat). Add the vanilla and almond extracts blend. 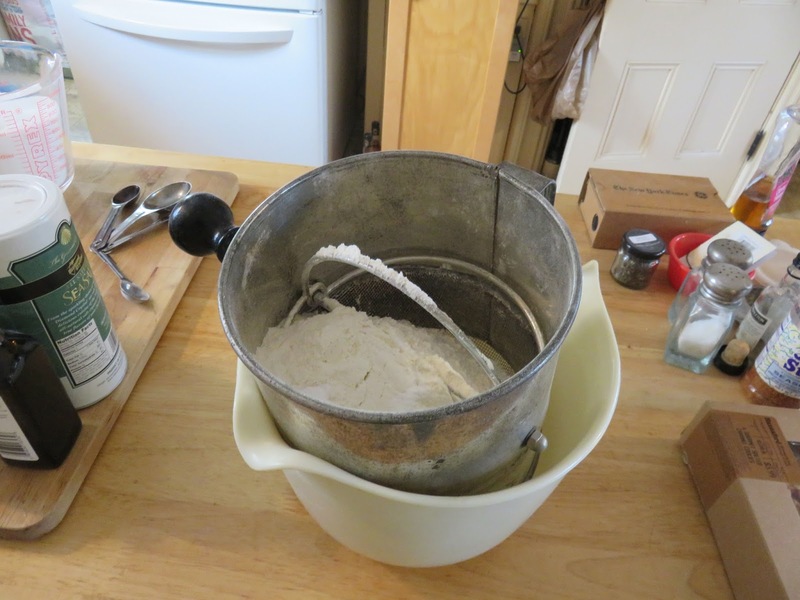 Turn the mixer to low and add the flour mixture in 3 additions. Scrape down the bowl and spoon the mixture into the baking pan. Smooth the top with a rubber spatula. it's more like five pounds! 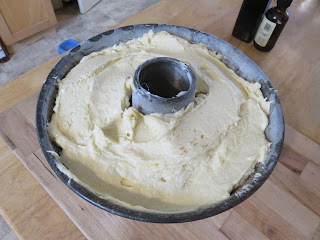 Bake for 65-70 minutes in the middle of the oven (this is important: because it is a dense cake, the outside may begin to brown before the interior is cooked. If you’re concerned, cover the top loosely with a piece of foil and/or reduce the heat to 325 degrees). The cake is done when a skewer comes out clean and the cake shrinks a bit away from the sides of the pan. Still counting the days until the release of Cruel Winter (County Cork Mystery #5). 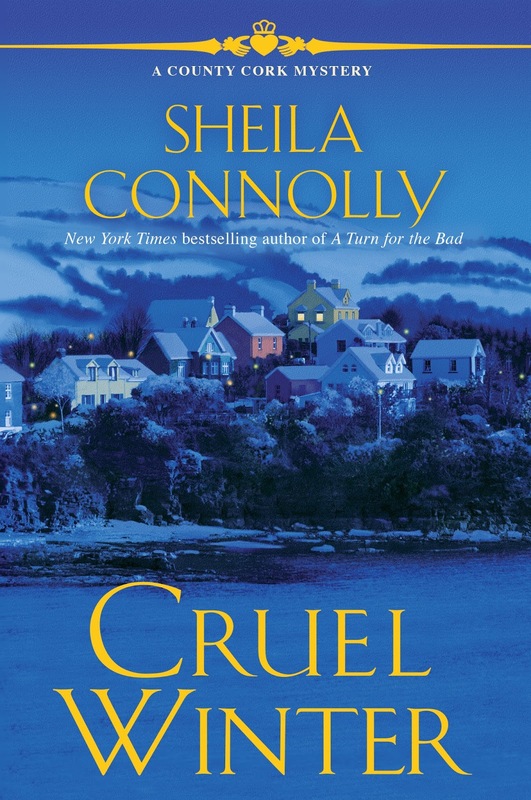 "A crafty and marvelous twist to the classic whodunit... A totally captivating page-turner of a book, perfect for winter nights with a storm beating against the windows." Available for pre-order at Amazon and Barnes & Noble (and still on sale at both). I like the name. It's a mouthful but it tells you what it is. I still haven't come up with a better name. Maybe if I keep tasting it, something will come to me. There's plenty left! That's a tough one to name. I love that it's so big. I may have to bake another pound cake. We're really into them right now. Wonder how many different flavors we can come up with? Anybody got a good recipe for chocolate pound cake? 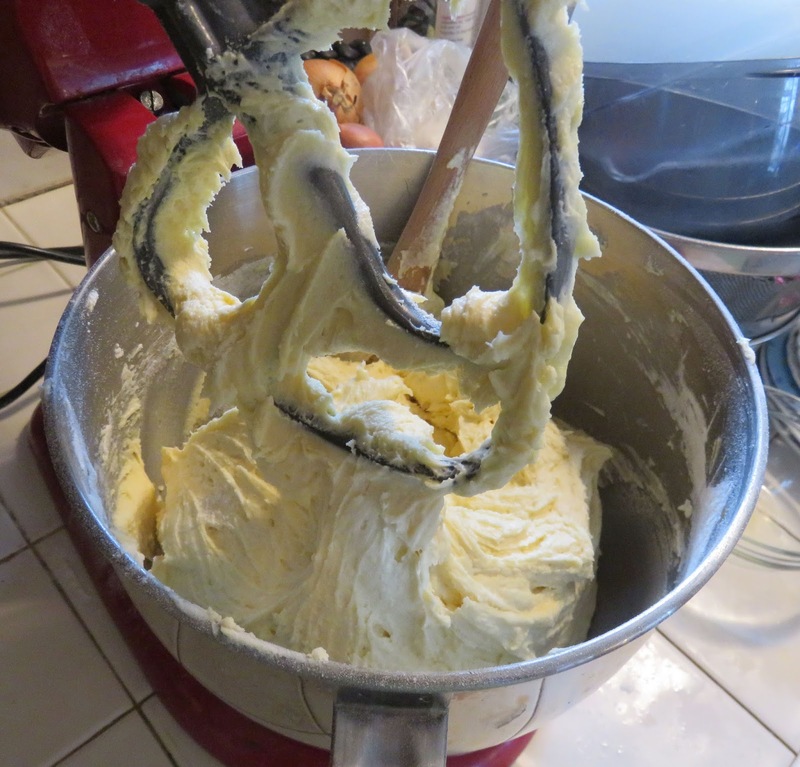 Cream cheese is a nice addition to a lot of cake or bar recipes--it keeps them moist. Good for your husband! "pound cake with a twist—it has cream cheese in it." "In" See? But mixed in sounds pretty darn tasty to me! I can taste this, Sheila! Yum. Yum. The name made me want to have some! Sounds lovely, but I am not a fan of almond flavoring, do you think I could leave it out? Sure, no problem--the vanilla gives it plenty of flavor. Or add lemon or orange extract. 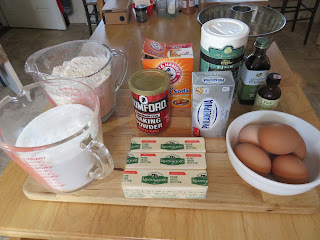 Sheila/Krista Davis, I actually have a really good chocolate pound cake recipe (typically bake it in a tube pan but a bun Dr pan would work). If you'd like the recipe send me a PM and I'd be happy to share.. I, also, have a recipe for a richer chocolate pound cake baked in a loaf pan which I can share.. Just let me know if you'd like either or both.. The recipe you posted might also be tasty using lemon extract served with fresh berries.